'We live in a chaotic, confusing world' booms a trailer for an organisation at the heart of Terry Gilliam's The Zero Theorem. It may as well be describing Gilliam's film itself. Not renowned for making things easy (on himself, audiences, any stakeholder whatsoever really), this film marks the zenith of Gilliam's obfuscation cinema. 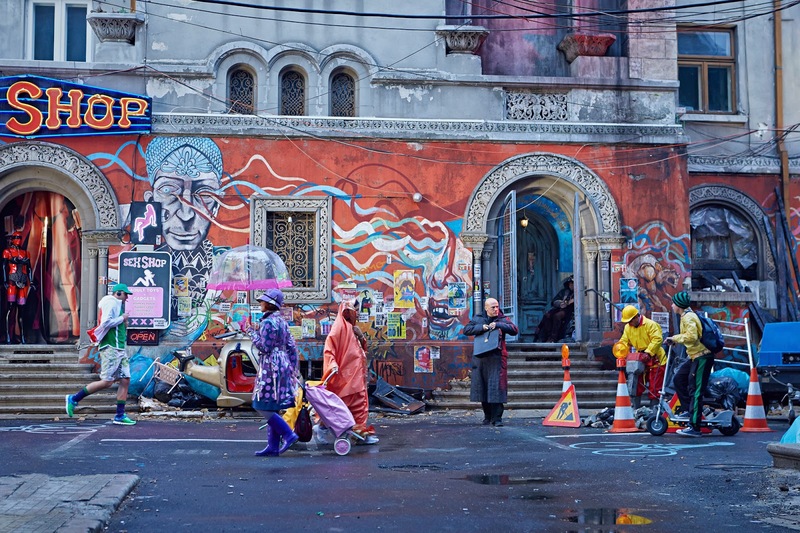 As per a typical Gilliam film, The Zero Theorem's frames are peopled by as much 'stuff' as the director can throw at them. No surface is left uncovered, no chance to include something else is wasted. It is a cross between the hyper-stylised worlds of Wes Anderson and the anti-minimalism of Howard Hawks, fused together in a bright pink neon jumper that doesn't quite fit anyone. It's confusing, bleary-eyed and uncomfortable. Gilliam is not interested in leading your eye, more so with exploding it. Personally I'm not a fan, though I can see why some enjoy the challenge. Even they though, have a job on here. This may be the film with the greatest amount of wishy-washy 'what is the point in, like, humans man?' warbling ever to be forced in front of us. Christoph Waltz's protagonist, Qohen Leth, has existential crisis after existential crisis, sometimes in the company of Bainsley (Mélanie Thierry), who Gilliam dresses in a variety of revealing outfits, for purposes generally unknown. Meanwhile, the director seems most interested in watching a banal dramatisation of Qohen grappling with computer code, which appears too often to wave away as 'filler': this is plot and content and it is dull. I like that Terry Gilliam makes original films. I like that he has big ideas and bold visuals. None of those things however are any guarantee of quality, a fact proven out by The Zero Theorem, which is a mess.